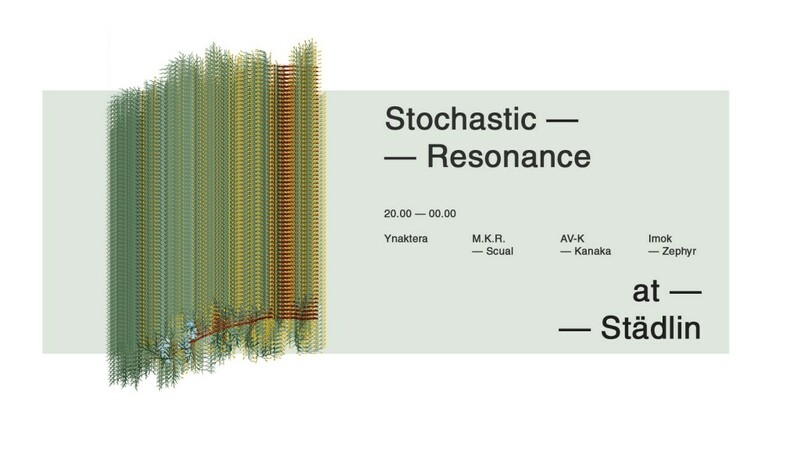 Tuesday March 29th, Stochastic Resonance will bring three audio/video performances to Stadlin. M.K.R. will be performing a live set, half based on his début release on SR, “Unfolding Spaces” (SR 011lab), half based on new material. The music will be visualized by a software created by Scual. AV-K, who is now closing a new project soon to be published on SR, will be exceptionally joined by Kanaka and propose their celebrated a/v set “Fracture”. The project explores the concept of fracture, by creating a dystopian always-evolving-scenario, a world which is in constant construction/destruction loop. Last set will be held by Imok, the brand-new entry in the network, and Zephyr fresh from their début together at MAAM, the previous week, with soft orchestral-derived harmonic constructions.